A range fire in northern Lyon County along the Osage County line on March 20, 2014, sets the sky aglow with flames and smoke. Photo by Matthew Fowler, Emporia Gazette. Effective Jan. 1, 2015, Osage County will join other counties across the state that require a burn permit for open burning of materials, pastures, vegetation or crop residue. 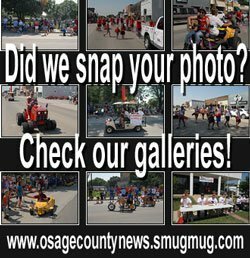 In August, Osage County commissioners signed a resolution requiring the permits, with the new regulations to be in effect the first day of the new year. 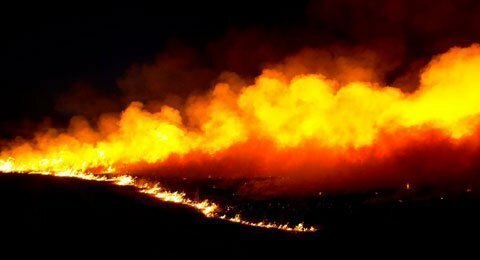 Anyone causing or permitting such open burning without first obtaining a burn permit could be found guilty of a misdemeanor with a possible fine of up to $2,500. The resolution also requires the permit holder to not abandon a fire until it is extinguished, take proper precautions to control the fire, have sufficient personnel and equipment at the burn site, and not conduct open burning when a burn ban is in effect. Permits will not be required for fires in enclosed screen covered containers used for household trash disposal, permanent stoves, campfire rings, fireplaces, fire pits or in barbecue grills in developed recreational sites or on residential home sites as long as the materials burned are not hazardous or toxic. People who start those types of fires are also required to take proper precautions to control the fires, and are also subject to the penalty provisions of the new county resolution. In addition to misdemeanor penalties, convicted violators can also be assessed the costs incurred by emergency responders while extinguishing or controlling a non-compliant fire. The permits are to be issued at no charge and will be valid for four years. 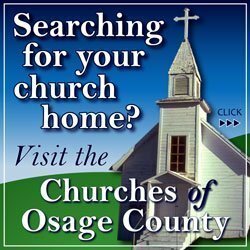 Approved permit holders must call the Osage County Sheriff’s Office before starting a fire and after the fire has been extinguished. The dispatch center will advise if conditions will allow open burning on the day of the planned burn. The county emergency management director can revoke the permit if it is determined that necessary precautions have not been taken or the fire presents a danger. Permits applications are available at the following locations: City offices at Carbondale, Scranton, Osage City, Overbrook, Melvern, Burlingame and Quenemo; Osage County fire districts 1, 2, 3, 4, 5, 6 and 7; Osage County Clerk’s office, land development office, sheriff’s office, Frontier Extension District office, and Osage County Emergency Management office. For more information about the burn permit, contact Bryce Romine, Osage County emergency management director, at 785-828-3323 or [email protected]. 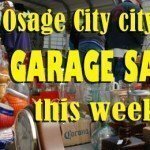 Or see the Osage County website at http://www.osageco.org and click the “Emergency Management” tab. Permit holders who need to report a planned burn should call the Osage County Sheriff’s Office at 785-828-3121, before and after the burn. Anyone who needs to report a fire emergency should call 911.